Why can't technology be used just for fun? Of course it can! And it is. Under the hood it uses SkyBiometry face detection service to find person's face in a photo and necessary feature points (we return 68 of them!) 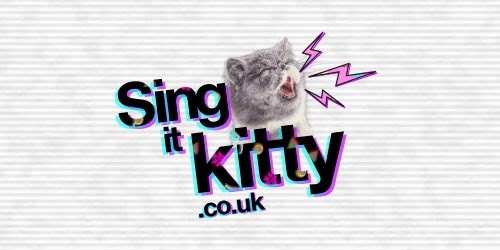 to later align the face with the video and synchronize it with the song. Check out Stinkdigital page for more details. Happy? Surprised? 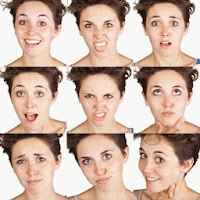 Emotion recognition available now! Emotion (sentiment or mood) recognition was the top-voted feature on our user voice site. It should not be a surprise as analysis of a person's mood is a killer feature for marketing or just plain fun applications. And we are happy to announce that it is available now for all our customers! Currently for each face in a photo we return one of the following values (along with a confidence) for the mood attribute: neutral, surprised, happy, sad, disgusted, scared and angry. In case you wish to make some custom emotion analysis like "how happy does the person look in the photo?" 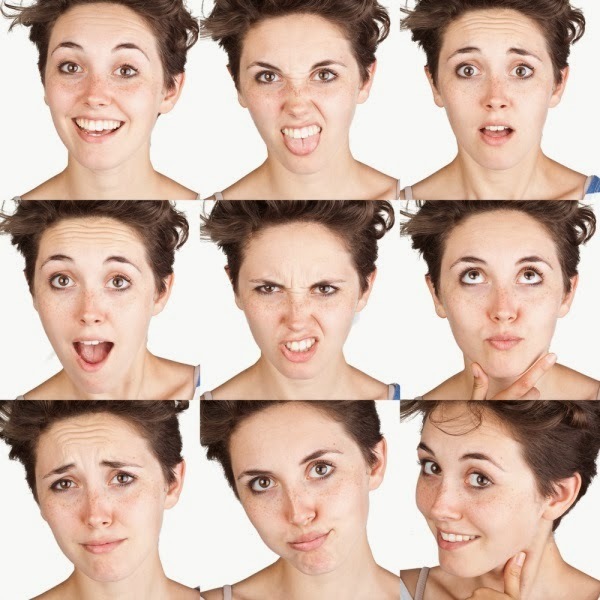 we also return confidence for each one of the basic emotions separately. You can check out the functionality in our demo right now. And as always your feedback is more than welcome. 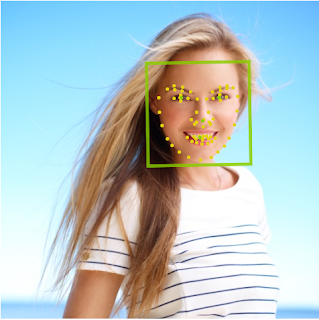 Starting this week our Face Detection and Recognition service supports two more attributes: lips and eyes. These attributes enable even more scenarios, such as checking that person's eyes are open in the photo or the mouth is shut during submitted photo filtering for example. Also quality of existing attributes determination is significantly improved. All attribute values are returned along with confidence in the range 0-100%. In the case attribute value cannot be reliably determined it is not returned at all, as we do not want to confuse you with the noisy results. And more are coming in the future. Please use our user voice page to influence which ones come first! Another addition to the service is detect_all_feature_points parameter. If set to true when calling faces/detect or other method then the response will contain up to 68 points in addition to always returned left eye center, right eye center, nose tip and mouth center points. Each point has a confidence specified in the range 0-100% and an id. For additional points id has the following format: 0x03NN where NN is a point number. Each number is linked to a specific point on the face as you can see in our demo. Just check the "Detect all feature points" checkbox before clicking Submit or a picture. Also we have greatly updated out documentation to include information about returned response object fields and possible error codes. Last week we have rolled out some updates to our face recognition functionality. First of all the demo on our website was updated with a recognition page. The demo uses new functionality we added to faces/group method - a similarity matrix. The method now takes optional return_similarities parameter, and if it has a value of true then for each detected face tag, within the response, we return similarity scores with all other tags in all photos in the request (except for the zero scores as we want to keep the response size reasonable small). With this new functionality you now have 3 options to group people in the photos: fully automatic; automatic with specifying your own threshold value for grouping (instead of default value of 70) and manual by examining the similarity matrix and adding you own logic on top for greatest flexibility. The third option also allows image verification scenario, when you need an answer to a question like "How similar are two persons in these two photos?". That is the second improvement we have rolled out - dynamic tag threshold value along with more natural (for a human) matching similarity score normalization. You may notice that the confidence values you receive in the response now feel (and are) more accurate. Today we introduce the welcome addition to detected attributes family in Face Detection and Recognition API: smiling and glasses. These attributes enable new scenarios for automatic photo processing such us: selecting photos with smiling faces, filtering out photos with sunglasses during upload, offering glasses only to a customer already wearing ones, and many more.